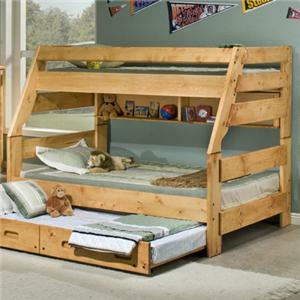 This twin/twin bunk bed with a trundle/storage unit is a fantastic addition to any kid's room. It has a versatile style with arched shaped headboards and footboards, plank look sides, as well as a rich merlot finish. The trundle/store unit features three storage drawers and silver finish cup pulls. All mattresses sold separately. Trundle mattress cannot exceed 6 inches in height. 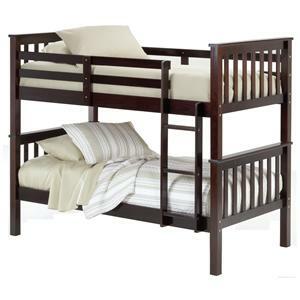 The Maddock Twin over Twin Captain's Bunk Bed at Miskelly Furniture in the Jackson, Pearl, Madison, Ridgeland, Flowood Mississippi area. Product availability may vary. Contact us for the most current availability on this product. 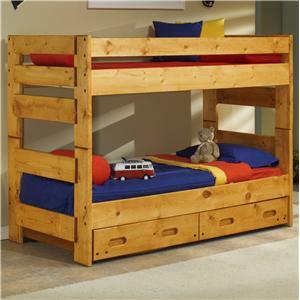 Bunk Bed Construction Includes ladder and safety rails for top bunk. 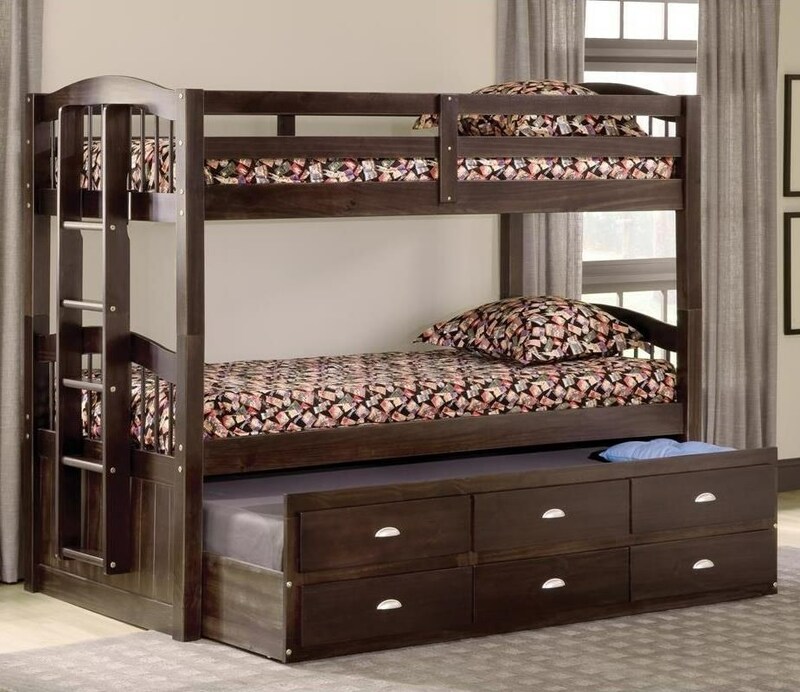 Includes 4 slats for each bed that is used on individual twin beds - When used as bunk beds, bunkie boards are required (sold separately). Trundle has one 13 slat support roll.